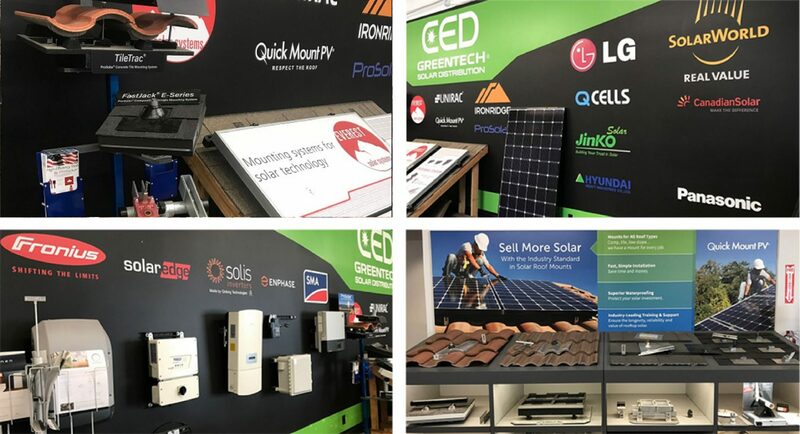 CED Greentech Sacramento is among the growing number of Greentech locations located in the United States. We provide cutting edge Solar PV & Electrical products with the highest level of customer service to the State of CA and beyond. We are a division of Consolidated Electrical Distributors, one of the largest electrical distributors in North America since its establishment in 1957. Our team puts your needs first to achieve efficient and comprehensive treatment in a pleasant and comfortable environment. We regularly attend continuing education courses and seminars to stay abreast of the latest techniques and procedures in what? "The Industry"
Our years of experience allow us to better educate our customers on the treatments available to them and help put their minds at ease by addressing any concerns they may have about their treatment, financial issues or appointment scheduling. Please feel free to contact us with any questions - we're here for you! We know solar projects can be installed smoothly with a well thought out plan. However, things rarely go according to plan. With our local stock and partner Greentechs around the country we can easily tackle any problem that arises with unmatched efficiency. We handle daily deliveries throughout the region in our own trucks to ensure all the components you need arrive on your jobsite or warehouse, when you need them. If you're out of the area - no problem; we'll work with you to set up systems to ensure we get your orders out our doors and on carriers we have national agreements with for drastically reduced freight charges. Come on down to our showroom in Sacramento and get your hands on all of our demo units. Our service-oriented and knowledgeable team will assist you every step of the way regardless of the challenges you face. We're confident that the services CED Greentech Sacramento provides cannot be matched by any competitors. Give us a project to work with you on and see what we can do for you!